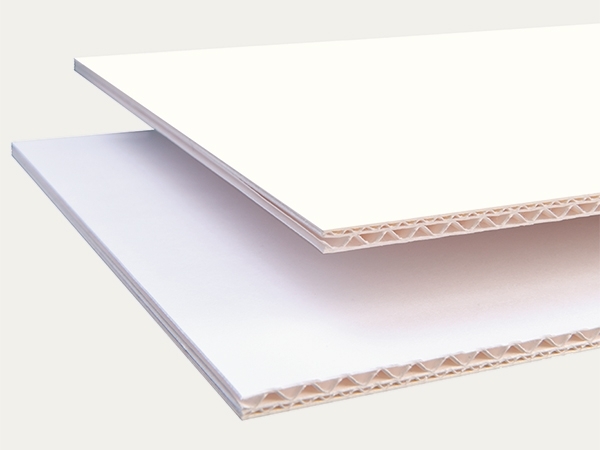 Double wall corrugated board made from ageing-resistant material, overall thickness 5.0 mm, natural white in colour. Flute thicknesses 3.0 and 1.5 mm. Top ply made from 365 gsm conservation board, natural white. The board has very good flatness and easy processing characteristics, is breathable and ageing-resistant in accordance with the EN ISO 9706 standard. Very suitable as backing boards for conservation-quality picture framing.